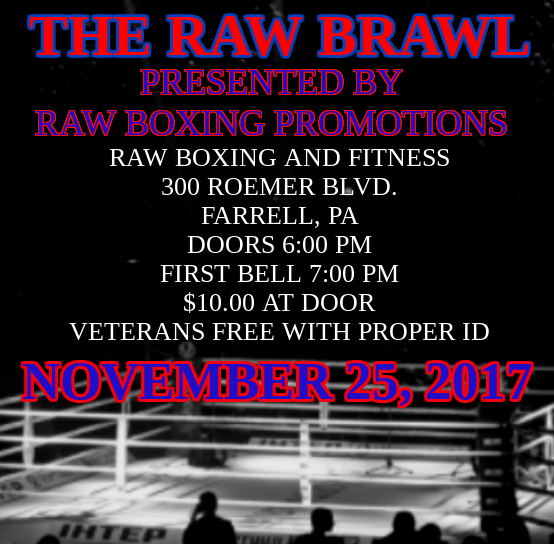 RAW Boxing and Fitness, located at 300 Roemer Blvd. 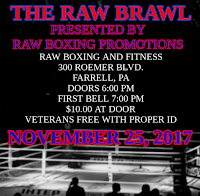 in Farrell, Pennsylvania, has moved it's amateur boxing show back a few weeks until Saturday, November 25th. The show, which is going to honor veterans, was originally scheduled for Veterans Day on November 11th. Admission for the event is $10.00 at the door.